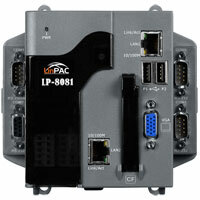 LP-8081 | Linux based standard LinPAC-8000 Linux Controller with 0 I/O slots and Linux Operating System. 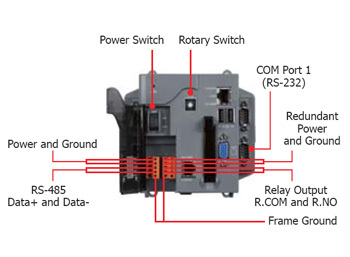 With VGA ports, RS-232, and RS-485 ports. Supports operating temperatures between -25 °C ~ +75 °C (-13F ~ 167F). Linux based standard LinPAC-8000 Linux Controller with 0 I/O slots and Linux Operating System. With VGA ports, RS-232, and RS-485 ports. Supports operating temperatures between -25 °C ~ +75 °C (-13F ~ 167F). LinPAC-8x81 is the second generation PAC from ICP DAS and is equipped with a LX800 CPU (500 MHz) running a Linux 2.6.18 operating system, various connectivity (VGA, USB, Ethernet and RS-232/485) and 0/3/7 slots for high performance parallel I/O modules (high profile I-8K series) and serial-type I/O modules (high profile I-87K series). User's programs can be saved in external storage device, such as CF Card, USB device or RAM via ethernet. LinPAC SDK is provided for users to develop LinPAC I/O applications rapidly and easily when I-7000/8000/87k series I/O modules are used in the LinPAC. Users can develop LinPAC applications by using GNU C Language. In the meanwhile, all kinds of servers and functions built-in make the LinPAC more powerful and users will be able to operate LinPAC to achieve their own project smoothly. With LP-8x81 series, users can achieve the redundancy function and it will make the whole control system safer. 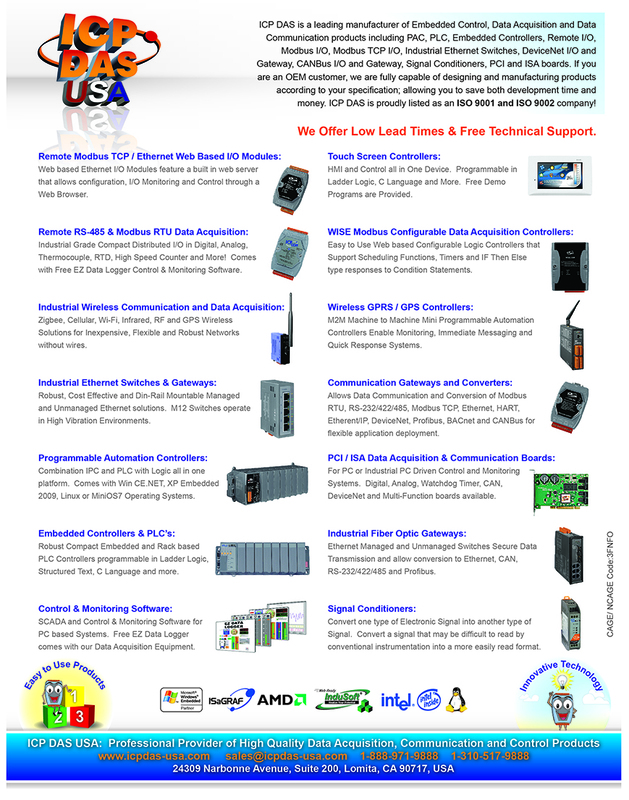 ICP DAS provides the library file － libi8k.a which includes all the functions of the I-7000/8000/87k series modules. Users can develop LinPAC-8x81 Applications easily by GNU C Language.